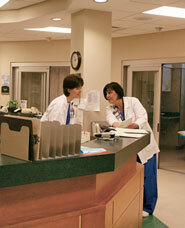 Witham Health Services has a long history of serving Boone County. From humble beginnings during World War I to the opening of the area’s first local kidney dialysis center in 2007, there’s been much growth at Witham. It all started in 1917 with Boone County farmer Flavius J. Witham donating $15,000 to help build Witham Memorial Hospital. Today, that small farm-community hospital has grown into a 263,000-square-foot facility with state-of-the-art technology and services that provide patient comfort and privacy. And Witham shows no signs of slowing down. While intently focused on the present, Witham has an eye to the future as well. “We continue to attract and retain excellent physicians and nurses so we’re able to meet the majority of our community’s healthcare needs,” says Raymond Ingham, Ph.D., Chief Executive Officer and President of Witham Health Services. While smaller than other hospitals in the region, Witham is clearly able to provide the “big medicine” that the community counts on. 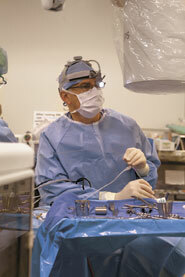 Consider the hospital’s new dialysis center—the first such program in the area. The need for a local dialysis center was obvious, but the challenge was putting together the right combination of care. According to Dr. Ingham, creative planning was the key to making the center happen. “After many town hall meetings, we quickly realized that this specialized care would be most effectively delivered through a collaborative approach,” he shares. Ultimately, a partnership between Witham Health Services and the national firm Liberty Dialysis was deemed to be the best solution for patients and providers alike. 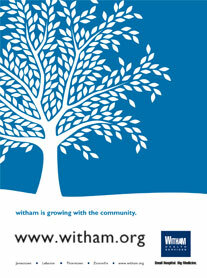 Witham will open its doors to two additional projects. The North Pavilion, a new 95,000-square-foot medical office building attached to the north side of the current hospital, will offer new medical treatments as well as expanding service areas, such as family medicine, internal medicine and pediatric practices. Witham’s rehabilitation department will be an important part of the North Pavilion. With patient demand steadily increasing, Witham will now be able to offer enhanced treatment options. Additionally, the North Pavilion will be home to expanded orthopedic offices, the new Women’s Center, a Wound Care Center and a medical spa. By the end of 2009, Witham will also open a freestanding emergency department and medical facility at Anson in southern Boone County. The new medical facility will be fully equipped with walk-in and ambulance entrances as well as triage exam and observation rooms. It will be open and fully staffed 24 hours a day, seven days a week. The Anson facility also will include a complete array of radiology, laboratory and physician offices as well.